Raj S. Johal, is a former Los Angeles and Bellevue Police Department Investigator. He has over 28 years’ experience in both criminal and civil cases. He became the Bellevue Police Departments first Certified Fraud Examiner in 1997, working a number of different fraud cases over the year’s successfully. Raj also specialized in building, housing, zoning and land use cases on behalf of the City of Bellevue, enforcing the City Codes. Raj prepared cases that were either adjudicated by the Hearing Examiner or a Superior Court Judge. Raj has nearly a 100% track record of criminal convictions or affirmed civil cases during in his career to date. Raj has testified in District Court, Superior Court, and even Federal Court during his professional career as an investigator. Raj is a graduate of the University of Washington Law and Society program, Los Angeles Police Academy, and Washington State Police Academy. Raj is an expert interviewer and interrogator, and graduate of the Advance Reid Interviewing School. Raj has served in the past on the Washington State Economic Crime Task Force, and has volunteered as Juvenile Justice Diversion Facilitator, bringing both the victim and defendant together for reconciliation, and the deferral of criminal prosecution of the youth involved. 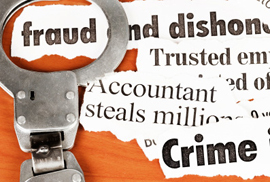 Raj is a member of the following organizations: Association of Certified Fraud Examiners, Northwest Fraud Investigators Association, Pacific Northwest License and Tax Fraud Association, International Association of Financial Crime Investigators, and Washington Association Legal Investigators. This allows me to be well connected to many different types of professionals in the investigation business. Raj also was a former business owner of both Microwash Car Wash and Microbean Espresso in the City of Mill Creek, Washington. Raj operated the first tunnel car wash in the City of Mill Creek, and operated the first drive up espresso stand using Tully’s coffee exclusively. Raj Johal is a member of the Bellevue Chamber of Commerce, and supports the Bellevue Police Foundation.